Alvin Diec is arguably the most in-demand brand guru on Atlanta’s dining scene, and you’ve never heard of him. Diec, who’s 34, prefers it that way. 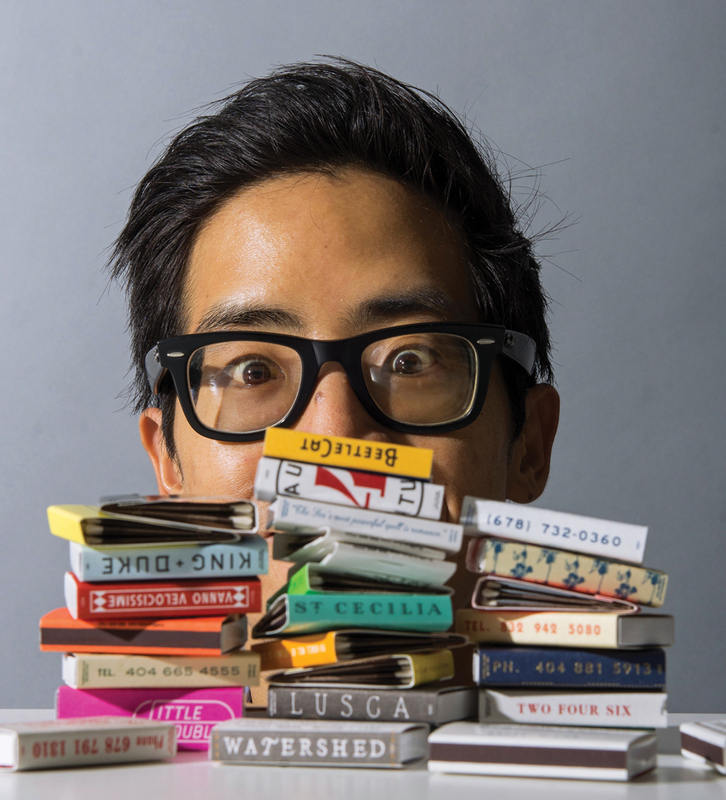 The unassuming graphic designer with thick-framed glasses is the quirky brain behind the websites, menus, trucker hats, and souvenir postcards of more than 44 Atlanta restaurants and retailers. You can thank him for spearheading the trend toward matchbooks, too—who needed those business cards anyway? 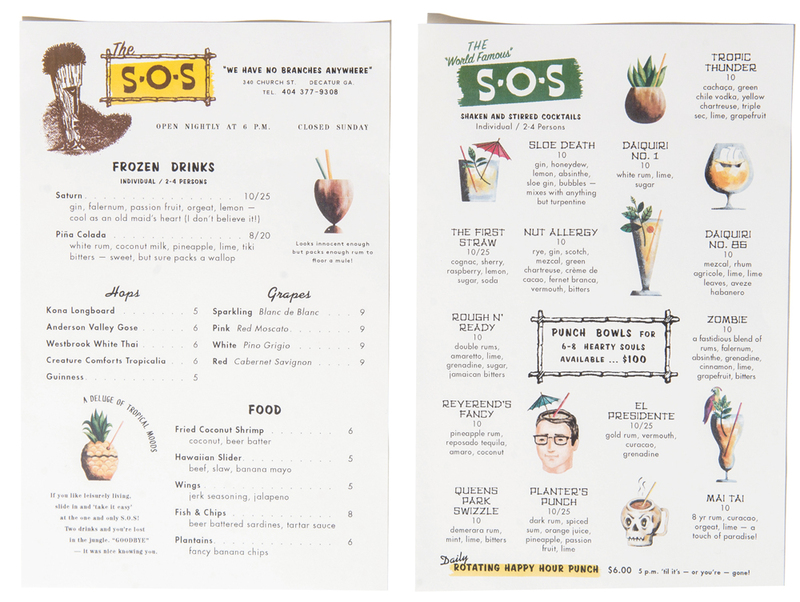 Office of Brothers is the six-person business Diec co-owns with design partner Travis Ekmark, but Diec takes the lead on their food and restaurant clients. The General Muir. Staple­house. Victory Sandwich Bar. Little Trouble. Antico Pizza Napoletana. All 10 of Ford Fry’s local restaurants, from JCT Kitchen to Superica. 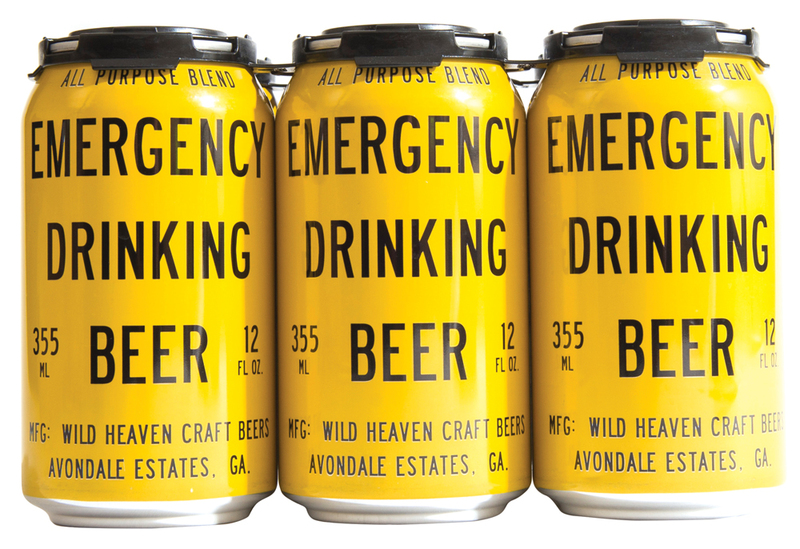 Even Wild Heaven Craft Beers’ iconic yellow can for Emergency Drinking Beer has Diec’s creative stamp. Even if we obliged, no one would buy it. A glance on his website shows that the city’s most respected chefs have been tripping over themselves to benefit from Diec’s golden touch. His success shines even brighter given his random introduction to the field. “I just pulled a book off the shelf,” he recalls. The book was A Designer’s Art by Paul Rand. This was in 2003, and Diec was a computer science major at the University of Florida. “I realized there was this thing called graphic design.” He completed his degree and moved to Atlanta to enroll at the Portfolio Center. Jobs at agencies like Matchstic and Green Olive Media followed, where Diec worked with many food and beverage clients. That’s how he met Fry, who became one of Diec’s first solo clients in 2011 with the launch of No. 246, Fry’s Italian restaurant in Decatur. “I have total faith in Alvin,” says Fry, who has since worked closely with Diec to name and create the look for all of his Atlanta restaurants. Today most of Diec’s clients have become his buddies, too. Just like a chef, he’s known for keeping night owl hours. He has client meetings over margaritas instead of a conference room table. And as in the kitchen culture he has come to deeply understand, he knows that humor goes a long way. His best ideas begin by asking, “Wouldn’t it be funny if . . . ?” The only thing he needs more of is sleep. Diec on the philosophy and inspiration behind some of his designs. 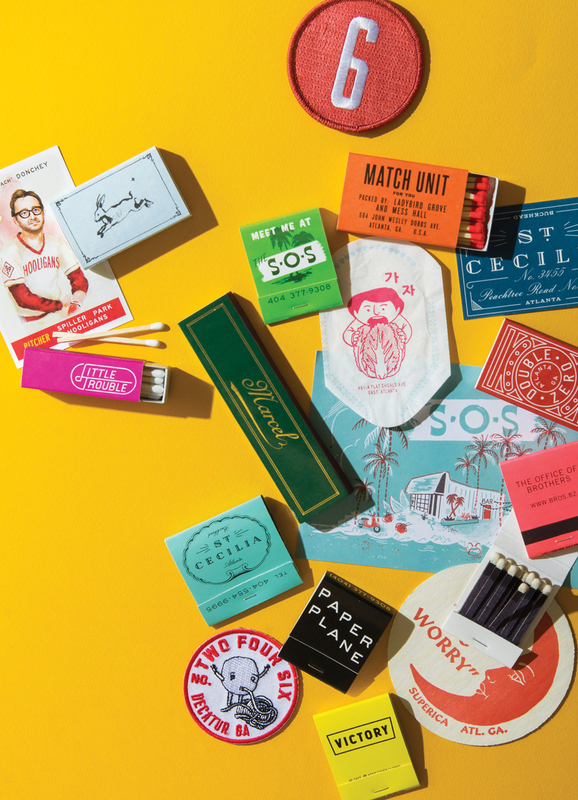 We based the packaging on government-issued military supply from the 1950s. One of our designers wore vintage Hawaiian shirts and cargo shorts for a week. 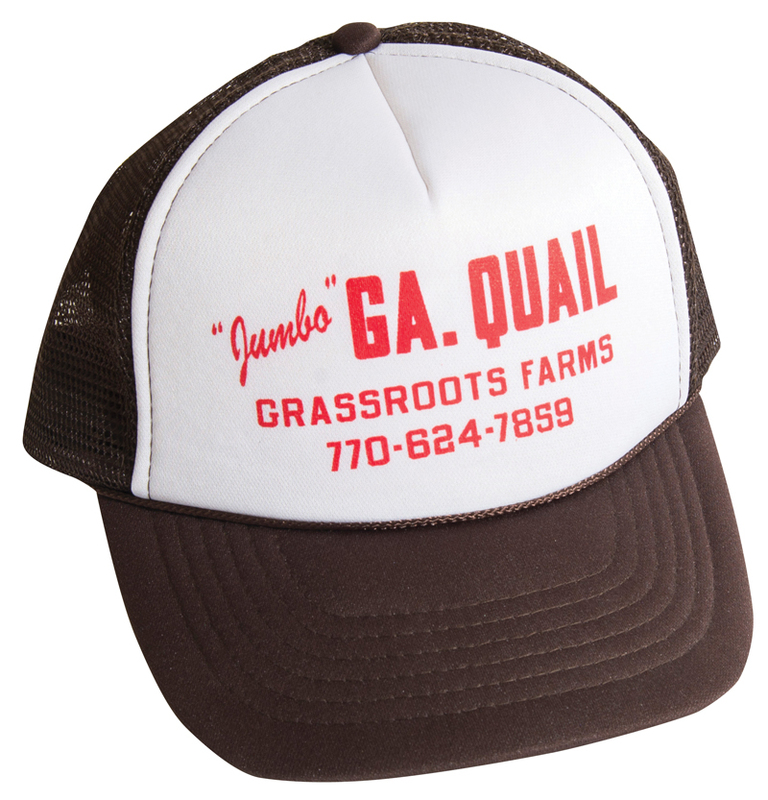 The most popular hat that we’ve made. We also made hats for No. 246 so that the kitchen could wear something that was not a fishnet.